New York: The WTA is calling for equal treatment of all tennis players and coaching to be allowed across the sport in the aftermath of the US Open final. 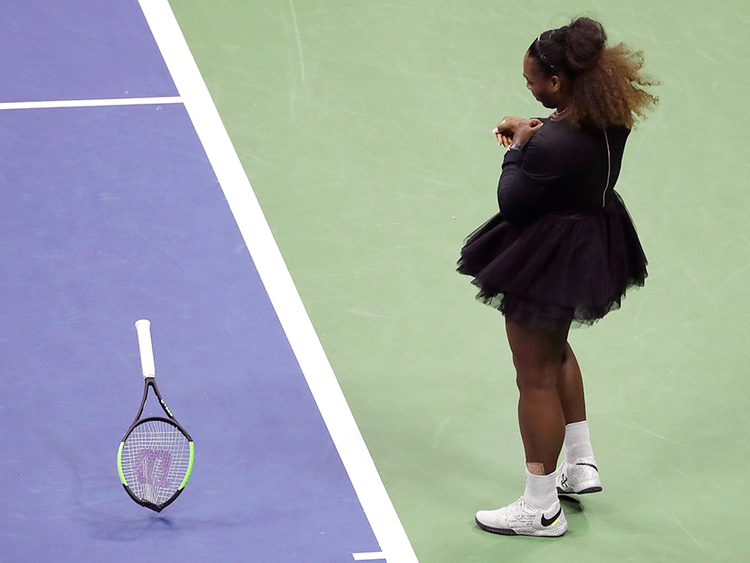 Serena Williams was given three code violations by chair umpire Carlos Ramos in her 6-2, 6-4 loss to Naomi Osaka on Saturday, and Williams and critics inside and outside of tennis argued that she wasn’t treated the same as some male players. “The WTA believes that there should be no difference in the standards of tolerance provided to the emotions expressed by men v women and is committed to working with the sport to ensure that all players are treated the same. We do not believe that this was done last night,” CEO Steve Simon said in a statement. Men’s champion Novak Djokovic said he thought Ramos should not have pushed Williams so hard. Williams was fined $17,000 (Dh62,432) by the organisers of the US Open for committing three violations of the code of conduct during the second set. Williams was sanctioned in the second set by the judge seated at the net, Portugal’s Carlos Ramos, for receiving help - in the form of a hand signal - from the box of her coach, Patrick Mouratoglou, breaking her racket against the court surface and verbally abusing the judge by calling him a ‘thief’. Williams received $1.85 million for playing in the final. Her fine will be deducted from that amount. Though Williams said she follows the rules and never receives coaching during a match, coach Patrick Mouratoglou acknowledged that he does it and says it’s well known throughout the sport that all coaches do.